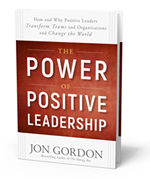 Download the Power of Positive Leadership Framework Poster here. My wife and I recently bought a place in Los Angeles and our realtor was Ivan Rothman. Ivan Rothman not only sounds like he's a realtor but if you look up realtor in the dictionary there should be a picture of him. I mean Ivan seemed to care more about the place we bought than we did. We were heading out to LA to move in this Saturday so we had our car shipped out there to arrive on Saturday. We planned to arrive and then go meet the car transporter with the car. There was just one problem. I received a call on Thursday that our car had already arrived. I called several friends who lived in the area but couldn't get in touch with anyone. What do I do? I called my wife's friend but she was at work. I then thought of Ivan and called him. Seriously I thought. The answer is always yes. He can't be serious. It turns out Ivan was serious. He drove in traffic for a few hours. He met the car transporter. He drove the car to my place and put it in the garage. He missed dinner with his wife and family (which I feel horrible about) in order to help me. And then drove back with the car transporter to his car and went home. And something else happens; the positive energy comes back to you. As Ivan was driving with the transporter back to his car the transporter told Ivan he lived in LA and was looking to buy a new house and asked Ivan if he could help him find a house to buy. If that happens this story gets even better. 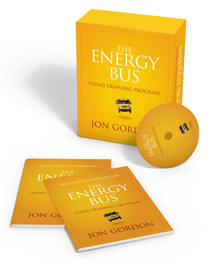 Learn from Jon via his video programs with workbooks. Great for individuals or teams to do together. Listen to a few recent podcast interviews Jon has done. In this interview Jon shares insights on life, leadership, empowering others, and letting go of fear and more. You can listen here or iTunes. In this interview Jon shares insights about faith, team building, working with top performing teams and more.